Portland Butane Stove Frame - Cal-Mil Plastic Products Inc. 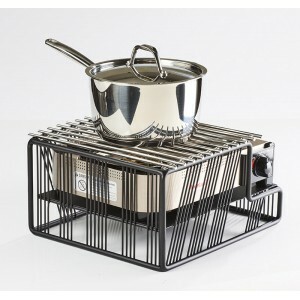 This Portland Butane stove frame is a great way to either cook or keep food warm at any catering event. It creates opportunity for food to be cooked on a stylish stove frame that will impress your guests. Butane stove sold separately.